GO WALKING THROUGH A HAY FIELD. PLAY ONE-HANDED VOLLEYBALL ON THE BEACH. MAKE ICE CUBES OUT OF JUICE. + 3 rows and 3 columns grid. 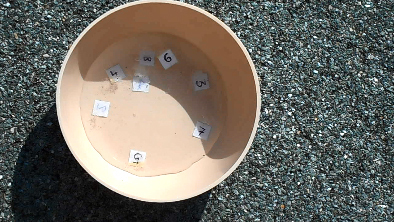 + Each cell is to hold one ice cube. 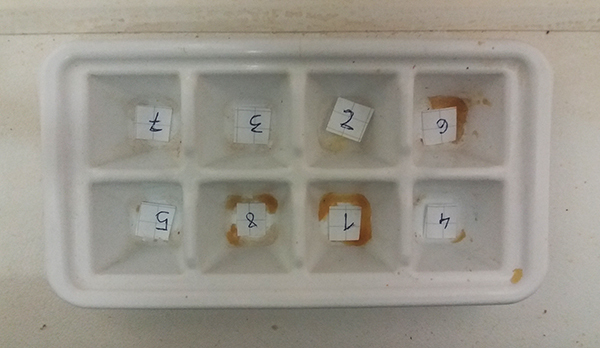 However, as my ice cube mould is only for 8 cubes, the bottom left cell was left unused. + The so called ‘starting point’ of the drawing is 4 units from the left edge, and 15 units from the top edge. 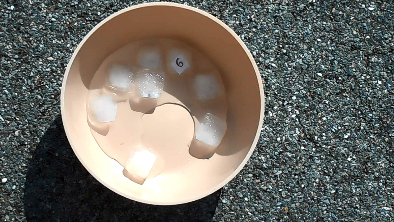 + I made ice cubes containing a serial number from 1 to 8, on tiny pieces of paper. These cubes were then melted, and the order in which the cubes dissolved had been recorded. 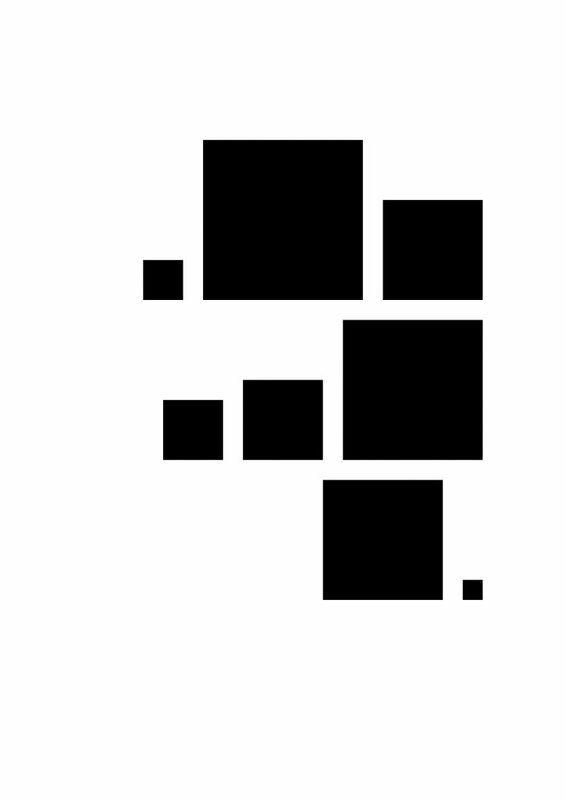 From the fastest melted cube to the slowest one; one number per cell, starting in the upper right cell, and working across to the left. 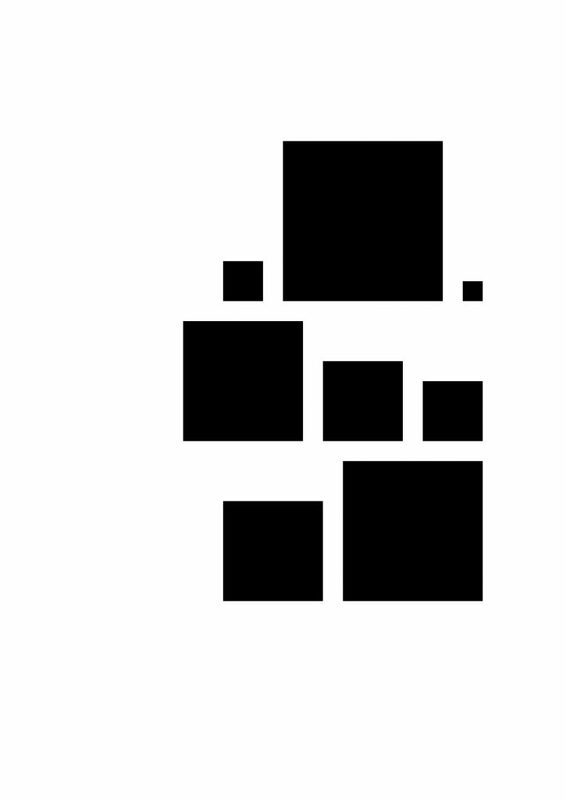 + Each number was then transformed into a black square, where the given number corresponds to the side length of the depicted square; the square of the number one has a side length of 1 unit and the square of the number 8 has a side length of 8 units, and so on. 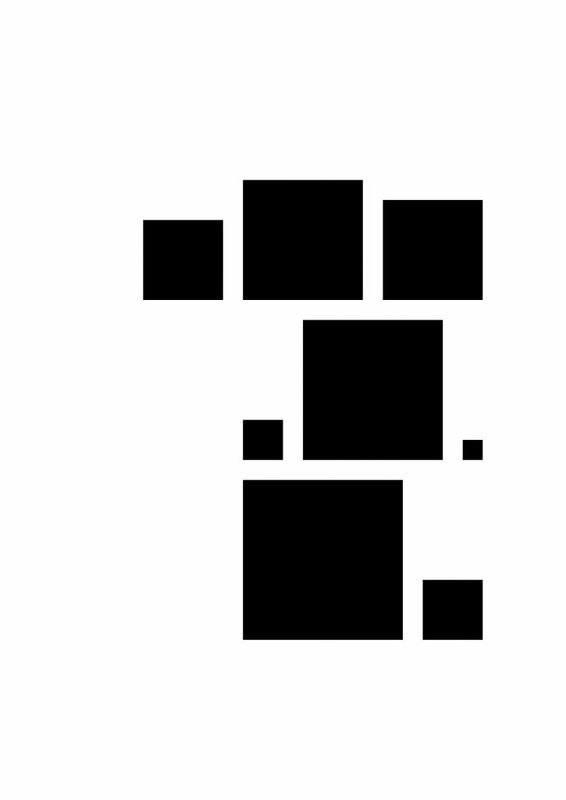 2) The squares in each row are aligned on the bottom side, with a 1 unit space between them. 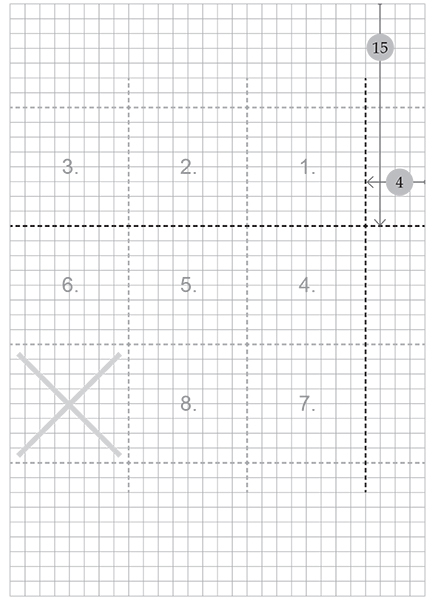 3) The squares of the right column are aligned with the right corner of the base-table. 4) There is 1 unit space between the largest square of the given row and its upper row.